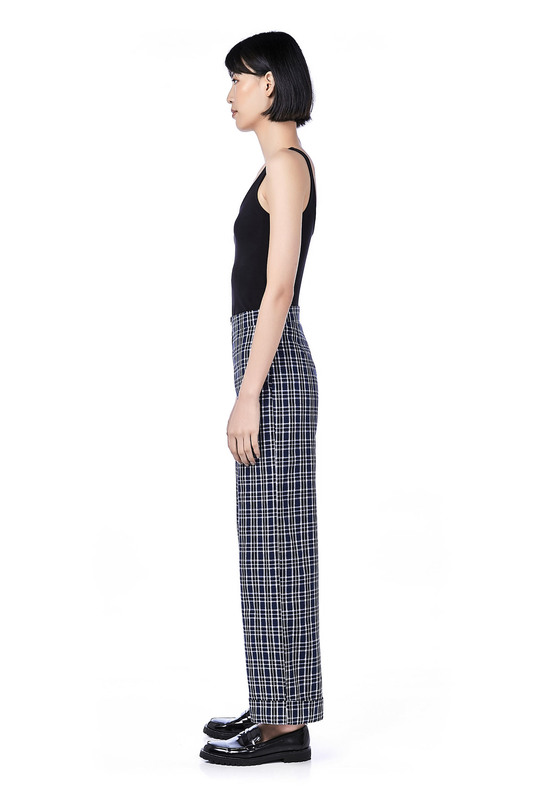 This pair of long pants is made from cotton polyester. 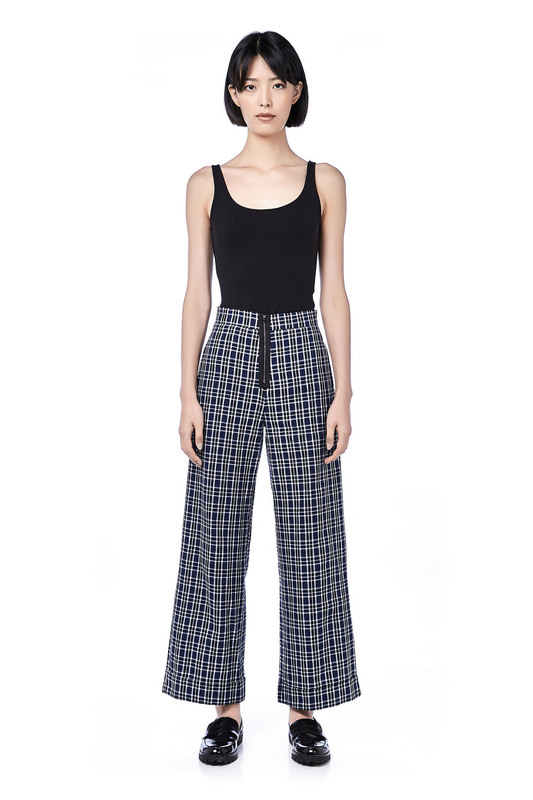 It is high-waisted and wide-legged featuring a front zip and wide cuffed hemline. Functional pockets at both sides. HIPS 33" 34" 35" 36"
THIGH 22" 22" 24" 25"